1 RealTechniques Expert Face Brush — Great for blending out liquid foundation, streak-free. I find that I don’t like using this, however, for the actual applying. I feel like I use up more foundation, strangely enough. 2 RealTechniques Duo Fiber Face Brush — This brush is just okay for pressed powders, and slightly better for loose mineral foundation, but my favorite way to use it is as a blush brush! It’s great for a gradual building up of color and the size is perfect for the apples of my cheeks. 3 RealTechniques Domed Eyeshadow Brush — This is such a multi-purpose brush, I wish I could get it as an individual brush without having to buy the whole Travel Essentials Set. It’s a pretty dense, fluffy brush with short bristles, in a dome shape. It’s perfect for patting on eyeshadow, and for blending out harsh edges, and for applying a concentrated amount of color on the outer corners. It’s really a travel essential if you like your eye makeup. 4 Marionnaud N°37 — N°37 is a pointed eye brush that is awesome for packing on color on small spaces, aka the inner corner or the outer corner. It’s also pretty nifty for a cut-crease. 5 Marionnaud N°38 — My eyebrow buddy! I use this every time I do my makeup and it is truly indispensable for me. 6 Charm Retractable Kabuki — Charm is a local brand and I’m happy to include this brush in my top 10. It has so many uses, but I love using it when I want to maximize the coverage potential of my loose mineral foundation. 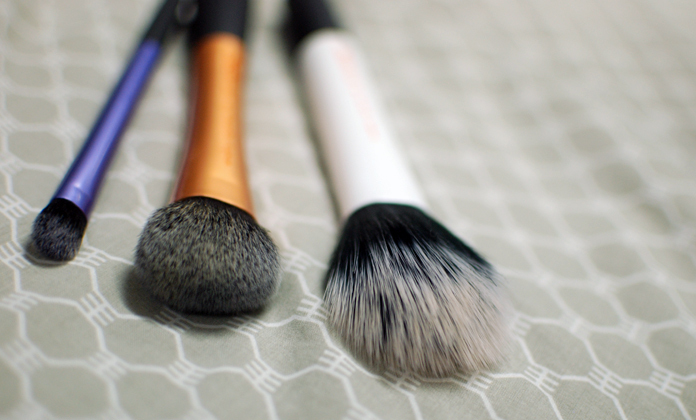 7 Hakuhodo H601 Powder Brush — Another retractable brush, this is another travel essential for me. I use this to apply blush and powder, and it’s such a great brush because you can control the density of the brushes, which allows you to control the amount of pigment deposited by the brush. Magic, I tell you! 8 MAC 217 — What a surprise! This blending brush is so far my favorite. Many people claim that the newer ones just aren’t as good as the original blending brush, and I wonder how much more in love I would be if I got a hold of the older versions. 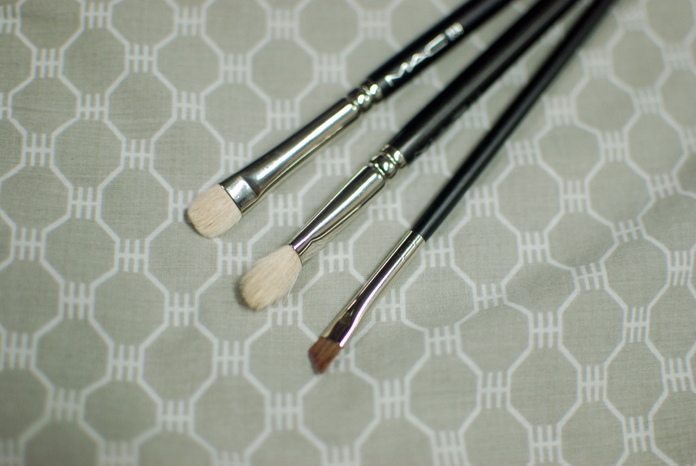 10 MAC 266 — a new addition to my brush family, the MAC 266 is my friend for eyeliner. Many people use this for eyebrow application, but I am happy with my Marionnaud N°38, so this is used strictly for eyeliner. The possibilities for colored eyeliner are endless—or at least, it goes as far as your eyeshadow range. And then, the honorable mentions, in no particular order! 11 e.l.f. Powder Brush — I love using this to set my makeup with my Physician’s Formula translucent powder. This is actually very close to making it to the top 10, but I just love the other ones a bit more. 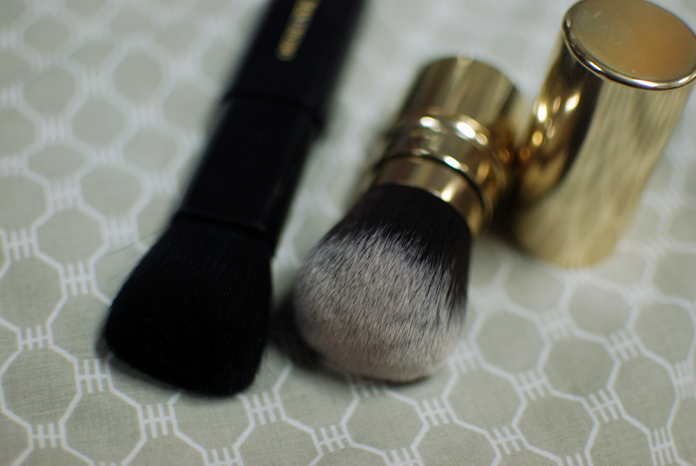 12 bareMinerals HandyBuki Brush — Another brush that nearly made it. I loved this a lot, until it started shedding little hairs on my face. 14 Charm Contouring/Blush Brush — This came in a PRO Travel Set, and I love it the most for applying powder highlight. It’s smaller than the typical blush brush—the perfect size for the hollows of your cheeks (contour) or the top of your cheekbones (highlight). 15 Illamasqua Blush Up brush — a fun brush to “eliminate the need for contour.” It applies your blush with a harsh line, creating the illusion of a shadow. 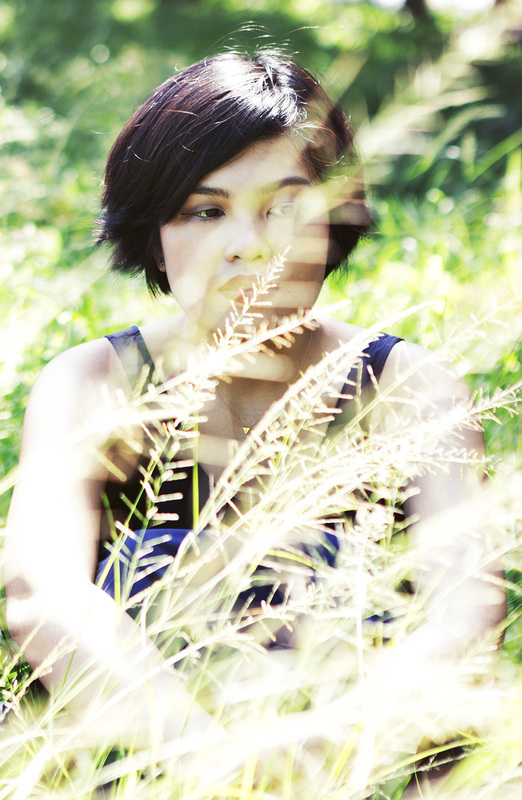 I like this a lot for that more dramatic look or for applying paler blushes. And there you have it! 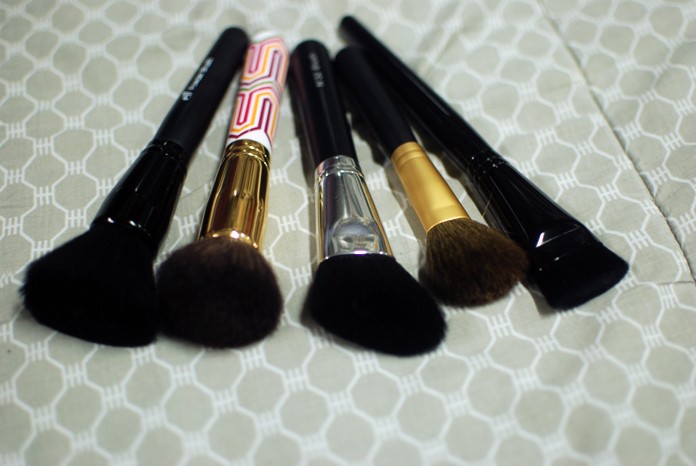 Fifteen awesome brushes that I urge you to look into. 🙂 I haven’t really been exploring a lot of options, but I want to try Le Métier de Beauté and Sigma next. And then Suqqu, maybe twenty years from now, when I am richer. Maybe. I have to get my hands on these real technique brushes. I’ve seen youtubers apply dots of foundation on their faces and blend it out using this brush. I want all of the brush sets from RT, to be honest. Haha! The MAC 217 is also on my wishlist. It’s really, really good, I have to say. The only RT brush set I’ve been disappointed by was their duo fibre collection. The 217 is definitely one of my most used ones. I don’t know why I don’t have more! Most used in a jar, less used in a tray. Marionnaud N°38 is my HG of brushes. I have about 3 extra in storage! It’s the perfect eyebrow brush for me. I used to use it with my Body Shop Brow & Liner Kit which was my first HG of brow kits but I’ve since switched to Shiseido Eyebrow Compact (the old one! apparently they’ve repackaged it). I use it for the same product! 🙂 the body shop one, at least. The Illamasqua Blush Up brush still fascinates me. 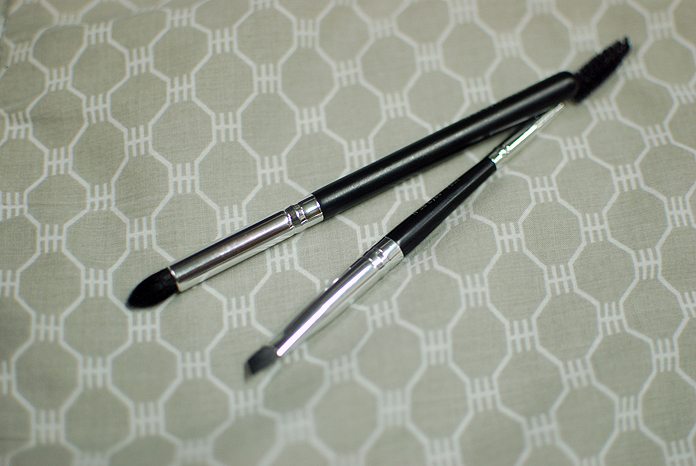 I have dupe for most of the other brushes but this one is just special. There’s a NARS one that looks similar, but I agree it doesn’t seem like it’s a dupe! Nice no? I think NARS has a similar one, but I think it’s stiff-ish. Love this post! Recently I’ve been playing around with makeup a lot, ever since my friend started asking me to do makeup for her shoots, so these days I’ve been doing nothing but reading up on brushes. For now I’ve settled for a fairly cheap set from Dashe, but it’s not to my liking so I was thinking of saving up for Sigma ones. I’m a bit curious about the Real Technique ones also though! Maybe I should get RT instead? Argh, decisions, haha! hi! I’ve been looking for good quality brushes at a very affordable price for a while. And I can’t decided which is which. Can you recommend a few brands that has good quality and is also cheap? Hi, have you tried RealTechniques or Marrionnaud? I like those brands a lot. I don’t really buy a lot of cheap brushes; I prefer getting high quality brushes that don’t need replacing frequently. Hope that helps!